Introducing July's new release in my sheet music store: Maracatu do Manatim (Manatee). Maracatu is an Afro-Brazilian style of music played at Carnaval parades in Recife, Brazil, which you can learn more about here. It typically has a much faster tempo, but for a manatee-themed tune, I think a slower groove works! This song came out of one of my composition prompts (from my free 5-day email bite-size composition challenge) to write an ostinato about an animal. I selected manatee (because who doesn't like manatees?! ), and somehow it ended up sounding like a 70s cop show, so naturally, it became Donald the Crime-Fighting Manatee. Well, Donald has recently moved to Recife, Brazil, and become infused with maracatu rhythm. I'm not sure if he's been solving any crimes there, but he is having a great time, and is super excited to appear on my upcoming album in October 2018, with lots of percussion! Maracatu do Manatim is available as a lead sheet for $2.99, and will be appearing on my upcoming album of my original Brazilian compositions and arrangements, which will be released in October! Introducing June's new release in my sheet music store: Tico Tico No Fuba, arranged for solo piano! 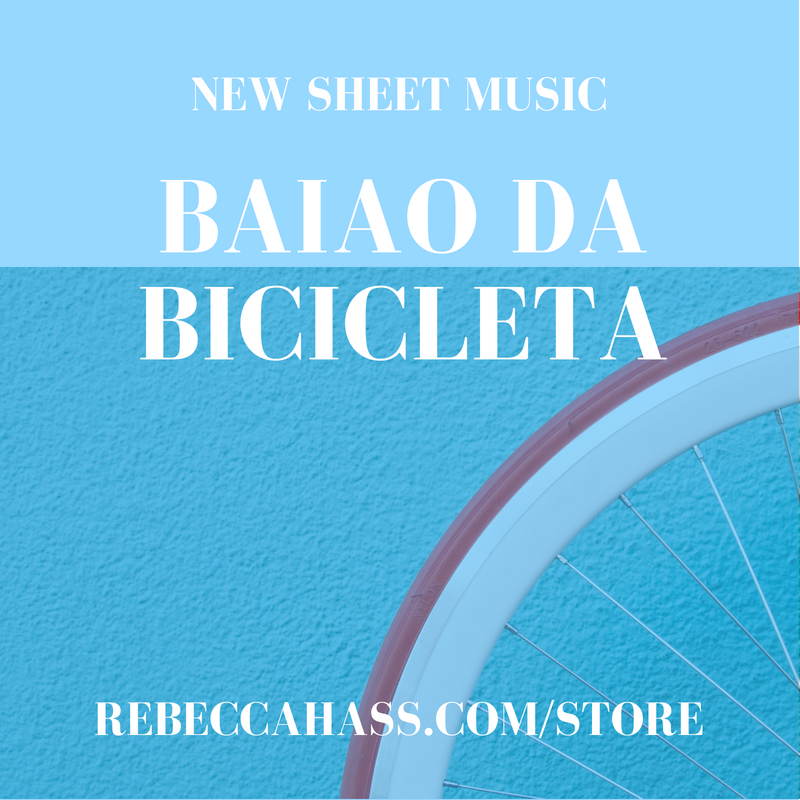 Tico Tico No Fuba is available as a fully-notated piano piece for $4.99, and will be appearing on my upcoming album of my original Brazilian compositions and arrangements, which you can pre-order through June 19! Brincalhão, a Brazilian lead sheet that switches back and forth between an asymmetrical maxixe (AKA Brazilian tango) and samba. Brincalhão means "playful" in Portuguese, and I think you'll see why I named it that! Brincalhão is available as a lead sheet for $2.99, and will be appearing on my upcoming album of my original Brazilian compositions and arrangements, which you can pre-order starting May 29!